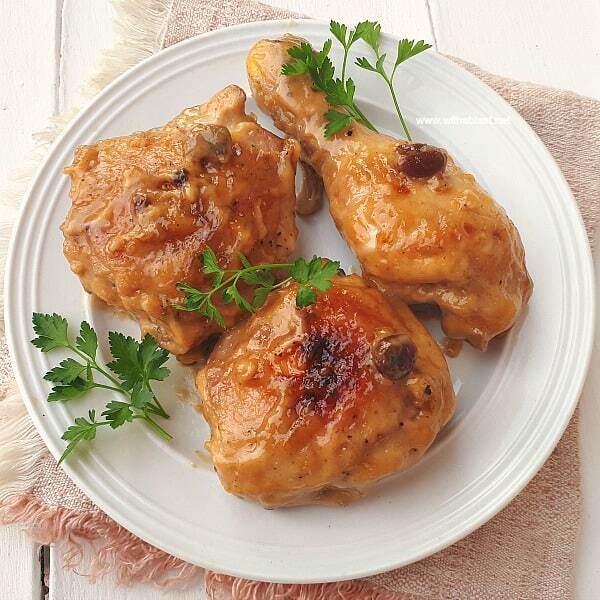 Sticky delicious chicken! 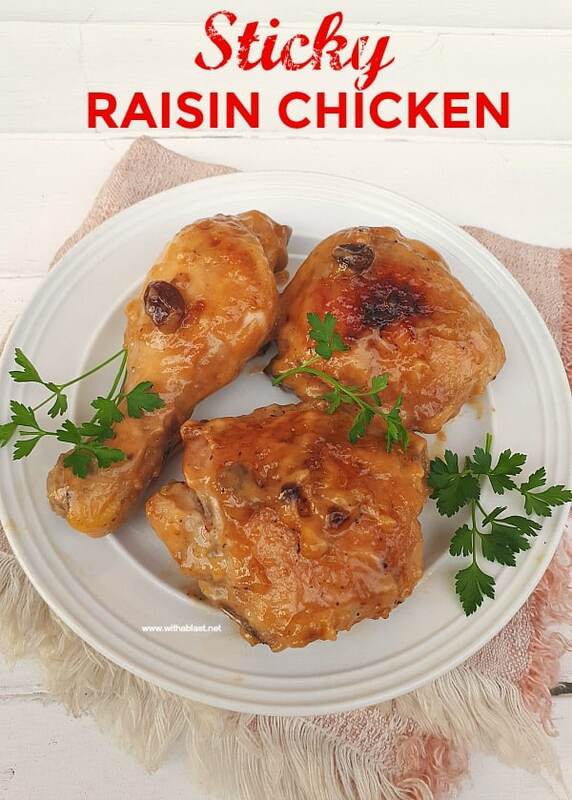 You can use any kind of chicken pieces, but with this Sticky Raisin Chicken, I prefer wings or drumsticks to serve as Game Day snacks or a mixed pack of chicken for dinner. There is no pre-frying involved, therefore a great time saver, especially if you want to make this as part of a savory snack platter. The chicken is deliciously tender and juicy once done…. not to mention STICKY! And it is not limited to a party snack, it is great with rice (or mashed potatoes) and vegetables as well. 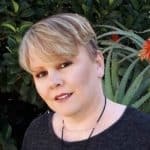 I do not know a whole lot about Super Bowl, as we are a Rugby country, but so many of my blogging friends, and readers from the United States are having Super Bowl parties this weekend, I had to share this recipe in case some of you want to try something new. 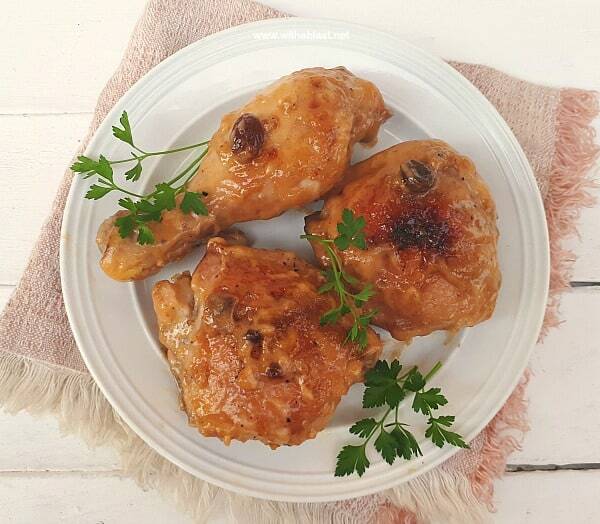 We have the sticky Raisin Chicken quite often for dinner, but mostly serve the Chicken, without the sauce, as snacks. It can not get any easier ! 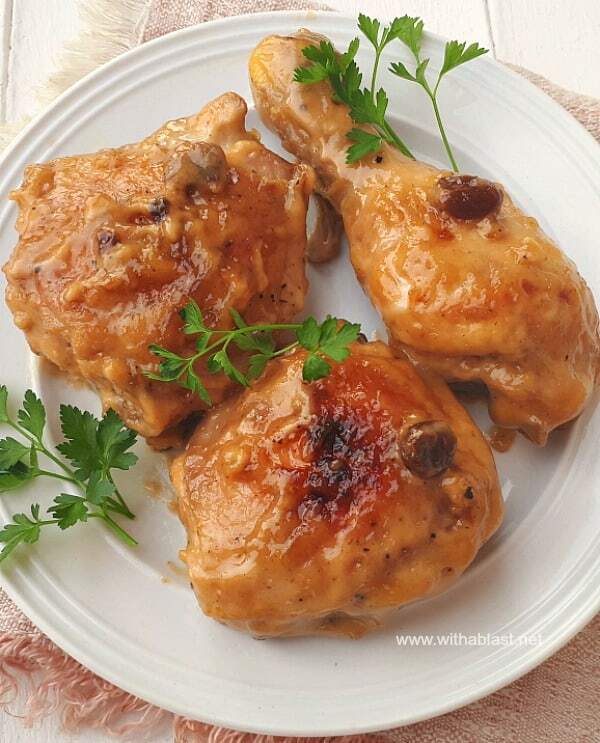 There is just about no prepping besides placing the Chicken in the oven dish and mixing up the sauce – it would take you about 5 minutes and get the dish into the oven, no-fuss or turning every few minutes. 2.) 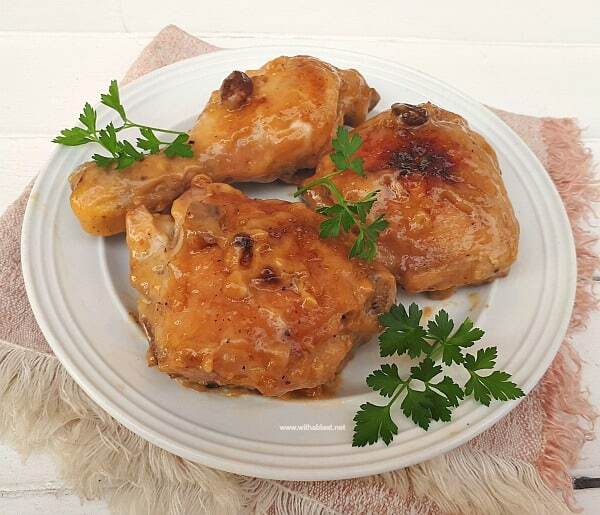 Arrange the Chicken pieces in a single layer in the oven dish – lightly season with Salt and Black Pepper – sprinkle the Raisins over the chicken. 3.) 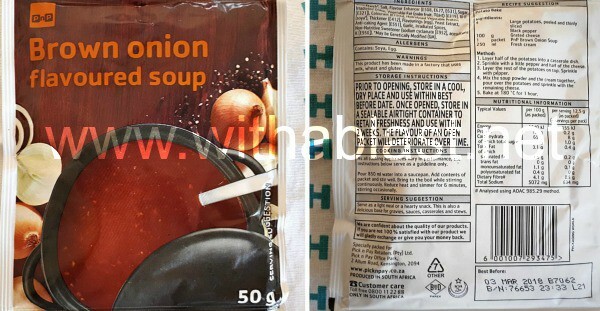 Combine the Boiling Water with the Brown Onion Soup Powder – add the Mayonnaise and Chutney – stir to combine – pour this mixture evenly over the chicken. This sounds wonderfully delicious 🙂 We're not watching the Super Bowl, but this sounds perfect for a Sunday meal!